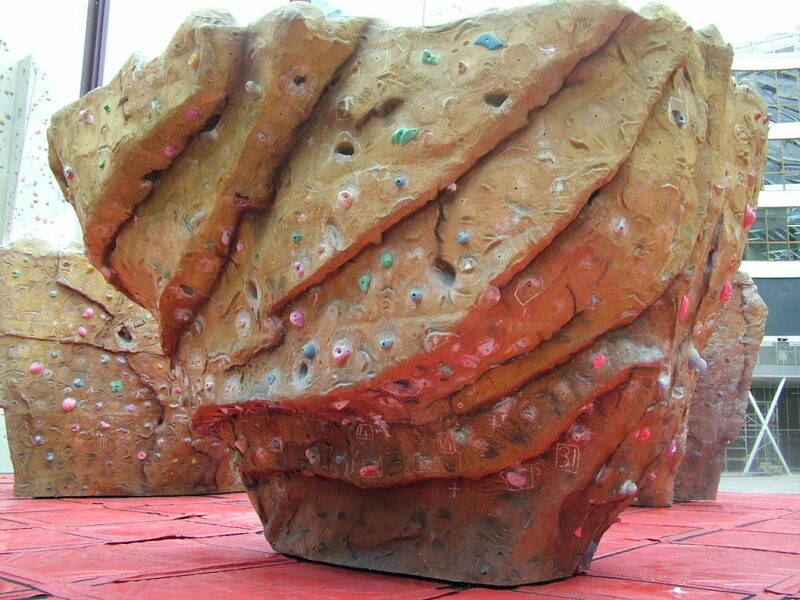 This is the simplest and least expensive form of climbing surface solution. It has a thin resin and sand coating for added friction and is ideal for competition walls and covering large areas at minimum cost. It has 25 bolt on hold sites per m2 which is more than ample to maintain interesting routes as the hold variations are virtually endless. The panels are bolted to a steel framework that is capable of withstanding in excess of 25kN at the bolt protection points. 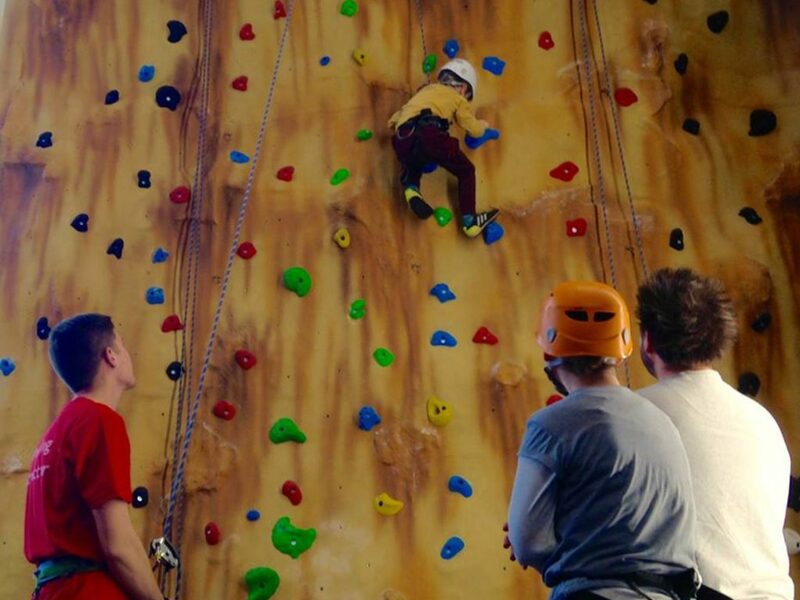 Stone coated GRP (Glass Reinforced Plastic) panels are the latest technology in climbing wall systems. The GRP system comes in two forms, flat and curved, with both forms providing great strength and durability. The stone coating that is applied gives the panels a superb level of grip which doesn’t wear away with regular use. The Stone Coated GRP system contains around 8 to 12 bolt-on holds sites per m2. Flat areas are added to the mould to create the bolt-on holds sites to make sure that the holds are embedded on a perfectly flat surface. Digital Freeform walls are the state of the art. They look and feel like natural rock and are highly featured. They are hand sculpted and are three dimensionally curved. This means that creating any shape is possible, from big rounded aretes to deep chimneys, soaring crack lines to bulging overlaps. Freeform is only restricted by the imagination. 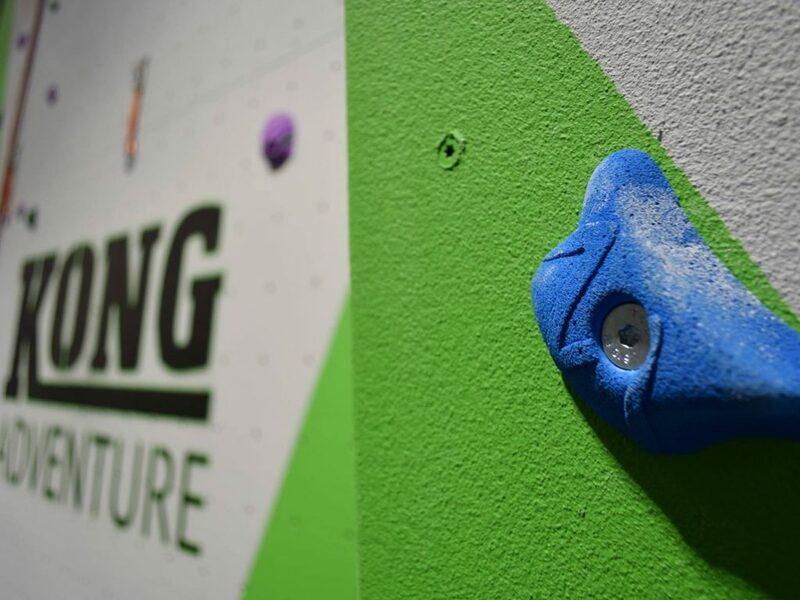 As well as the overall shape there will be an array of smaller features like pockets, jugs, slopers and undercuts; every wall is a one off rock sculpture.